This adjustable scent cone is perfect to place just about anywhere in the home. I like to keep mine in the bathroom to help combat any offensive odors. First, the packaging on this is so beautiful. I really didn't want to have to take off the plastic because it is that pretty! The cone itself is pretty too, it reminds me of a rose bud, and can add to a rooms decor. I was sent the scent (try saying that 10 times fast) Pure Water Blossom & Cucumber. Out of all the scents I got to experience, this was by far my favorite. I love anything cucumber scented, which to me is the dominant scent in this. However it also has a floral hint which I really like. These 2 compliment each other very nicely. The fact that this is a adjustable cone means you can put the cone where ever you wish, set the cone to the height you wish, and leave it. Within a few hours my bathroom had a beautiful aroma. Because my bathroom is one of the smaller rooms, I only need to open the cone a tiny bit. If I had this in a larger room, like my living room, I might open it halfway or higher. I find most cones last me about a month before I need to replace them. 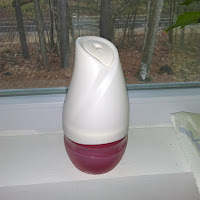 I'm anxious to see how long this one keeps my bathroom smelling lovely! 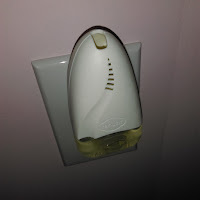 A few of my family members use plug in scented oil fresheners, and I have always been amazed at how well they work. My Grandmother keeps one going in her kitchen, and when I walk into her house, that is the first thing I smell! I was very excited when I got this in the box to try. I figured I would put mine in the living room since that is a room that sees a lot of traffic and is where I often have guests. The plug in is very easy to use, and within minutes I had it plugged into my wall outlet. The scent I got to try is Ocean Breeze. I mentioned this in my unboxing video (see below), but I actually have a sea salt hair texturizing spray that smells almost exactly like this. I love this scent! It is hard to imagine, but this really does have a sea salty, beach side floral scent. To me it makes me feel like I am sitting on a beach somewhere off the Maine coast, lounging by the sea, with a slight breeze that has the aromas of local flowers. I'm lucky that I live near the Maine coast line so I have experienced this scent in real life many times. This to me is going to be perfect for summer! If you want a slice of the salty sea breeze in your home, try this! The plug in itself is white, and it matches well with all of my decor! The final product from this line I got to try is the deodorizing spray. 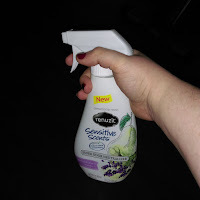 This is great to spray around the house once a day, or even before having company over. This immediately goes to work and makes the room smell amazing. I was able to try the scent Pure White Pear & Lavender. I have found myself using this quite a bit around the areas in my home where I have my cat litter boxes. If you have a pet, you know that there are always those pet smells. I buy scented cat litter, but even then it still just doesn't smell good. I use this about twice a day just to freshen the area. I also like to use it before I have company coming over, one spray and my house just smells wonderful. This scent is very true in that it starts off with the pear scent, then fades into the lavender. It is very calming and relaxing. Almost reminds me of a scent they might use in a spa for relaxation. I have already received many compliments from guests in my home on how good it smells and wanting to know what spray I was using! The packaging on this is also very beautiful as well! So overall I have to say I am really enjoying these new products from the Renuzit Sensitive Scents collection. They offer so much without being over powering. The product designs are stunning, and I really love the graphics and designs used on the products. Definitely a 2 thumbs up collection for me! Open to the USA only! See widget below for ways to enter! 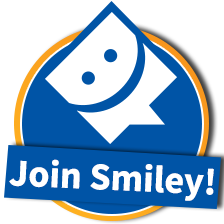 You can gain extra entries by completing different tasks! Good luck! - Winner will be selected April 10, 2016. I would make Lavender Eucalyptus. Great choice of scents! That would smell fantastic! Coconut, Mango, and Raspberry scent would be my choice! That would be an amazing blend of fruity scents! I love it! Yes! Lilacs are one of my personal favorites as well! They have such a beautiful, delicate scent! I would make the scent of fresh mowed grass I love that smell. That is purely the smell of summer! Great pick! I might pick the smell of fresh turned dirt. I realize thats odd, but for us gardeners it is bliss. Not sure about this one, but I cant wait to get outside and working the garden! I would pick the smell of melting snow.. there is a smell in the air when it happens. Its fresh and a clean smell. I think maybe the smell of a rainy night, Thats a fun smell. The smell of wild roses is nice. I know roses are kind of overdone but wild roses smell tottally different! I like the smell of a spring morning day it smells kind of cold yet , its a particular smell. I wold create one with peaches and hints of a rain scent. I would make one that smells of lilacs, spring rain and maybe a sweet scent combined. I would make a scent combo of the smell of clothes on a clothes line outside. I would love thee smell of dandelions yeah thats weird too, but around here it means spring! I would combine the smell of strawberries and the smell of fresh spring air. The only spring scent I can think of today is melting snow and mud. That migh be a scent, I am not entirely sure. I would like the smell of melon and strawberries. I would like the smell of a pine forest in the spring. I would combine the smell of Peeps candy and green grass. I would like peaches and spring rain smell. I would like the smell of green apples. Thaats springy. I would choose the smell of chocolate or mango. I like the smell of the corn fields and sunshine. I would choose the smell of roses. I would perhaps combine the smell of rain and the smell of a fresh laundry. I would choose the smell of fresh fruits. I would choose the smell of vanilla.